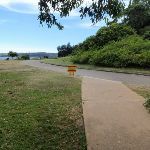 Turn right: From the intersection, this walk heads uphill along the concrete path directly away from the water, initially keeping the large ‘South Head Heritage Trail’ sign on your left. 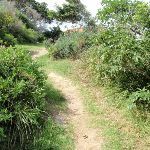 The path leads up through the heath, soon crossing an old road. 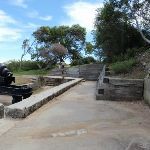 The path then bends left and passes a few old fortifications, coming to a large gun emplacement and a ‘Fortifications 1854’ sign. 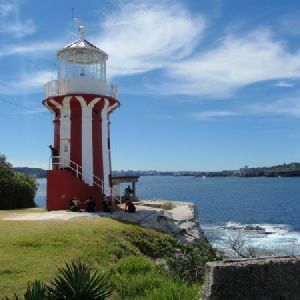 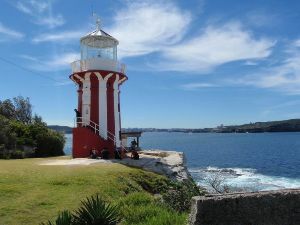 Continue straight: From the Gun Emplacements and ‘Fortifications 1854’ sign, this walk heads downhill along the path to the large red and white striped lighthouse about ≈80m down the hill. 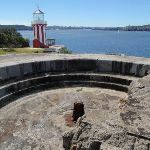 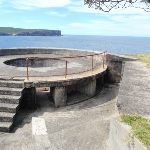 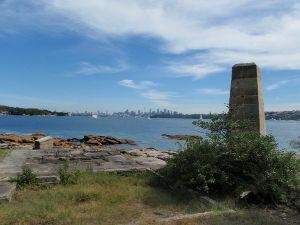 Continue straight: From Hornby Lighthouse, this walk heads downhill along the footpath past the concrete gun emplacement, keeping the water views to your right. 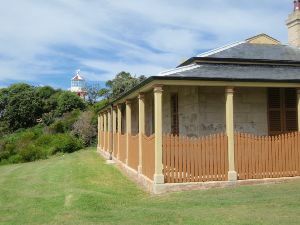 The path bends left and leads over a small bridge, soon coming to the front of the Lightkeeper’s Cottage marked with a ‘Lightkeeper’s Cottages 1858’ sign  between the old house and a gun emplacement. 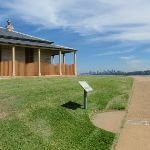 Continue straight: From the Lightkeeper’s Cottage, this walk follows the footpath, keeping the water views to your right. 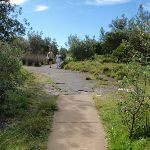 The path leads around the edge of the large clearing and after ≈100m, the path leads into the heath. 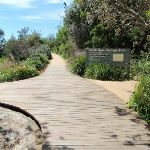 Soon the path leads to a timber boardwalk and a four-way intersection marked with a large ‘South Head Heritage Trail’ sign on your left. 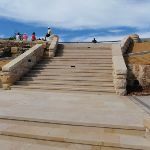 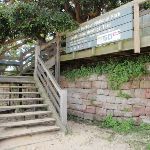 Veer right: From the intersection, this walk heads directly away from the face of the ‘South Head Heritage Trail’ sign along the timber boardwalk and down a series of steps. 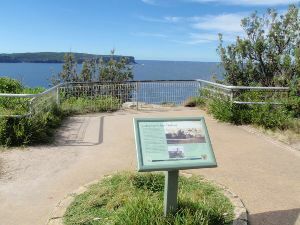 The timber boardwalk soon leads to a fenced lookout with a view over Lady Bay. 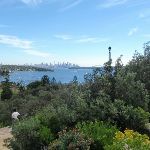 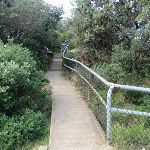 Continue straight: From Lady Bay Lookout, this walk heads down the steps next to the lookout and follows the footpath alongside the large fence. 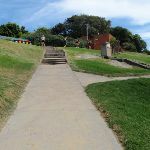 The path heads up a series of steps to the signposted intersection above ‘Lady Bay Beach’. 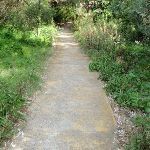 Continue straight: From the intersection, this walk heads gently uphill along the footpath (keeping the water to the right) and after ≈60m, the path comes to the end of an old road. 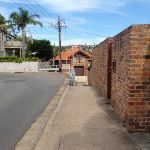 This walk continues along the old road, past the garage bins and the large toilet block (on your left). 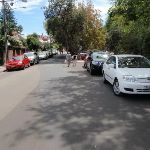 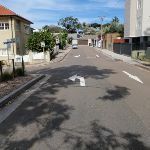 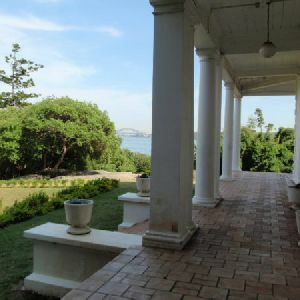 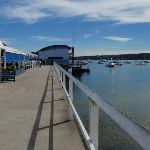 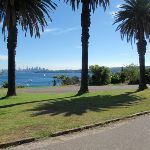 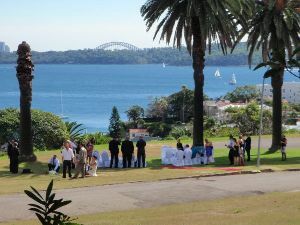 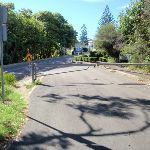 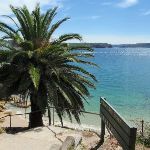 The walk now follows the road as it leads around a sweeping left-hand bend, enjoying more harbour views until turning right onto a footpath, near a palm tree (just before the road meets a large fence). 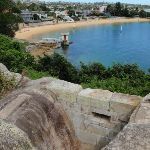 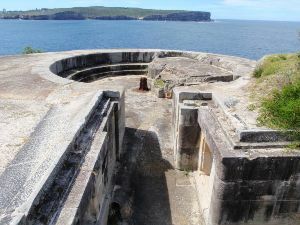 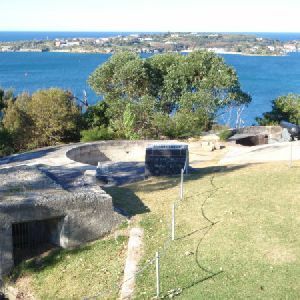 The walk heads down this path and some steps to find a disused cannon, gun emplacement and more great harbour views. 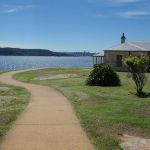 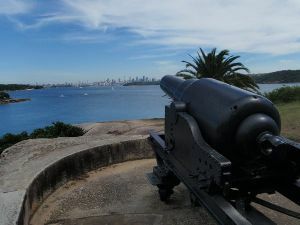 Continue straight: From the cannon, this walk heads down along the wide, cobbled sandstone path (keeping the water views to your right). 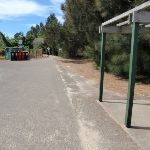 The walk then follows the footpath gently downhill to an intersection (with a toilet block on the left). 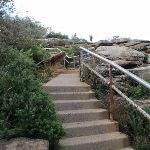 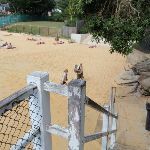 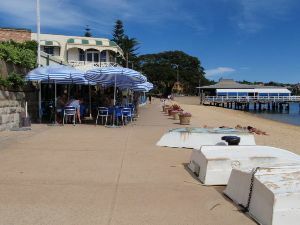 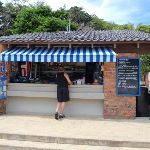 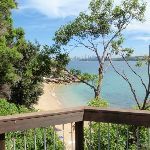 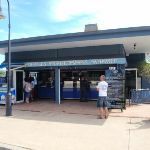 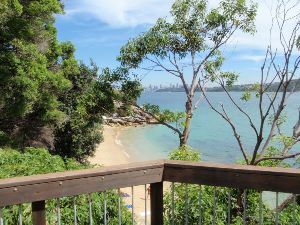 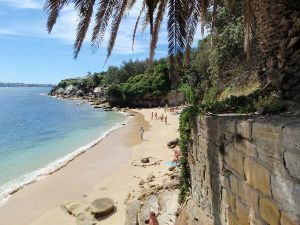 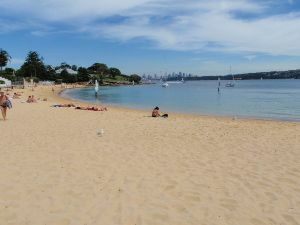 The walk heads straight, then down the steps and across the beach to the front of the Camp Cove Beach Kiosk. 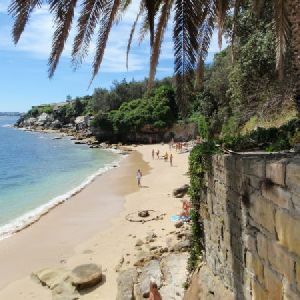 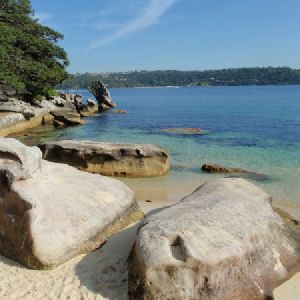 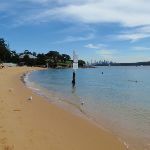 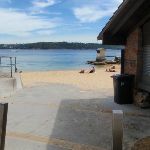 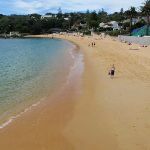 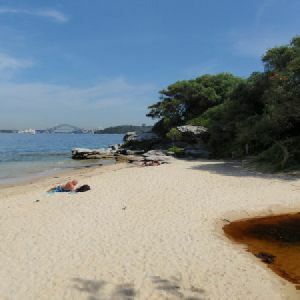 Veer right: From the northern end of Camp Cove Beach, in front of the kiosk, this walk heads along the sand (or the footpath) to the far end of the beach, keeping the water to your right. 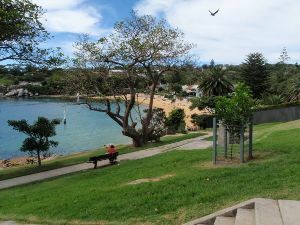 At the far end of the beach, the walk comes to an intersection with a couple of other tracks. 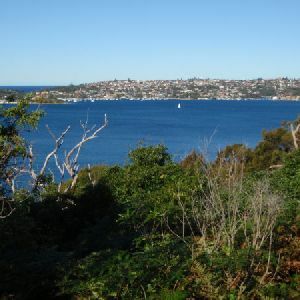 2.7km of this walk has gentle hills with occasional steps and another 1.1km is flat with no steps. 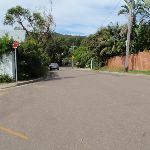 Whilst another 220m has short steep hills and the remaining 90m is very steep. 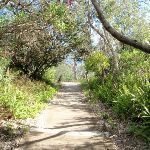 Around 3.5km of this walk follows a smooth and hardened path, whilst the remaining 580m follows a clear and well formed track or trail. 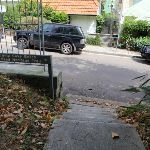 This whole walk, 4.1km is clearly signposted. 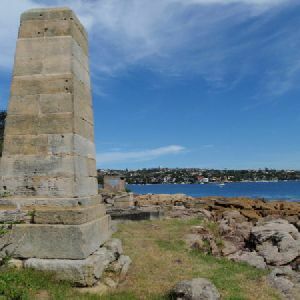 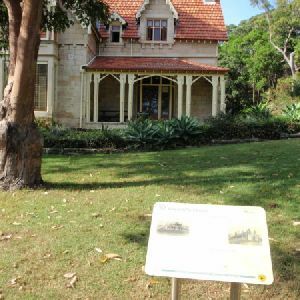 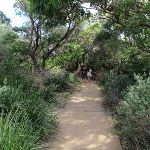 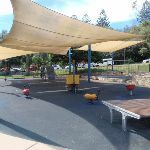 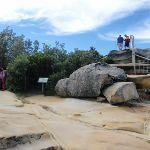 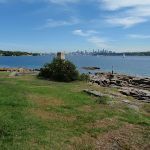 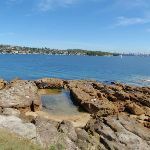 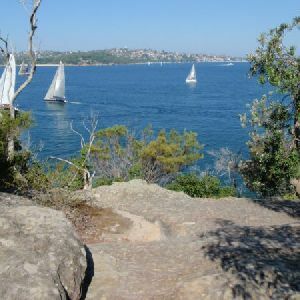 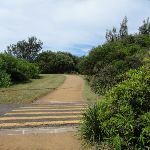 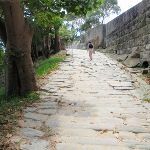 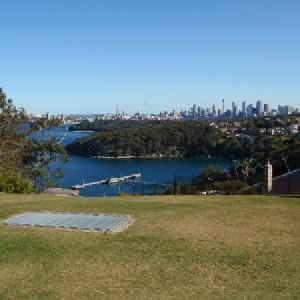 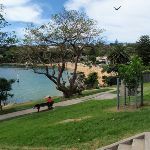 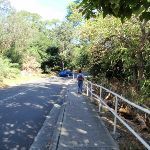 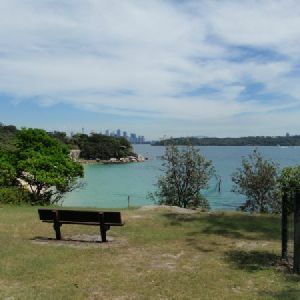 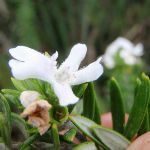 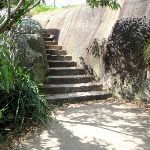 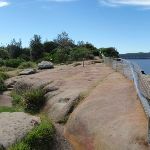 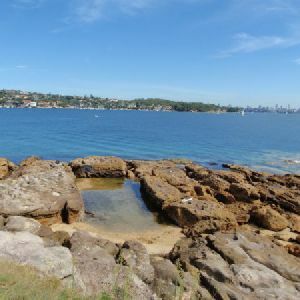 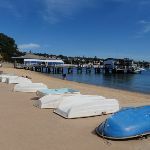 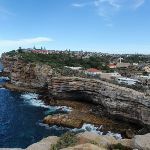 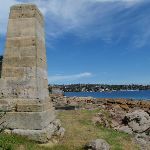 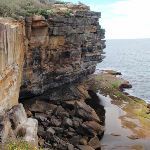 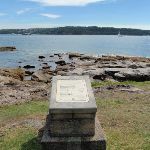 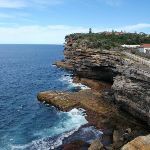 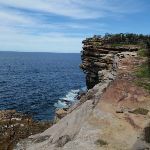 A list of walks that share part of the track with the South Head Tour walk. 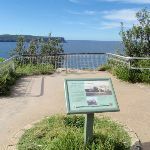 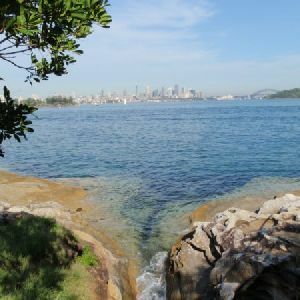 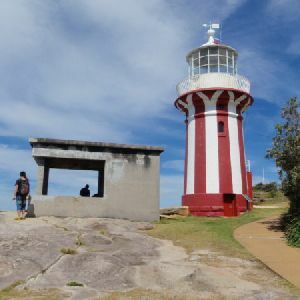 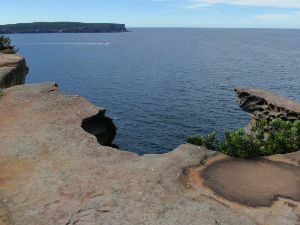 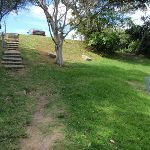 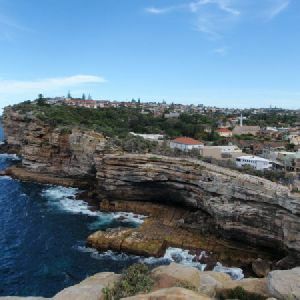 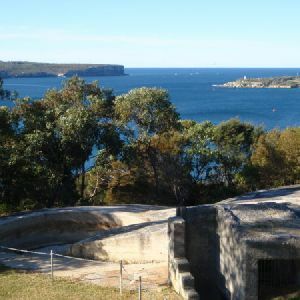 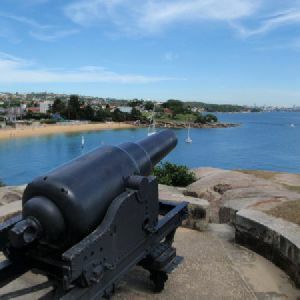 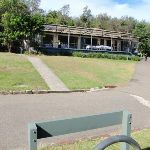 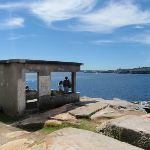 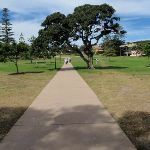 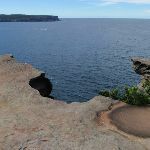 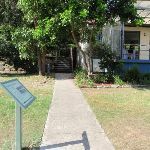 A list of walks that start near the South Head Tour walk. 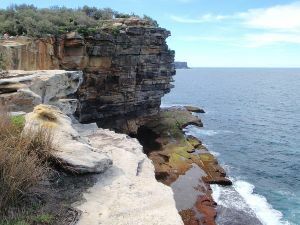 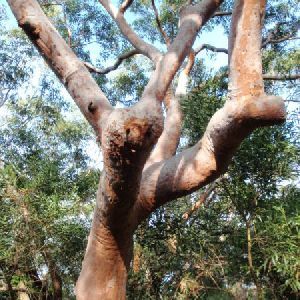 http://new.wildwalks.com/wildwalks_custom/includes/walk_fire_danger.php?walkid=nsw-shnp-sht Each park may have its own fire ban, this rating is only valid for today and is based on information from the RFS Please check the RFS Website for more information.